Developing and operating an Integration Air Defence System (IADS) system is a fiendishly complex exercise. Such systems have two key functions; to help safeguard a nations air sovereignty and to enable a nation to conduct air operations to defend its airspace. At its most basic level, an IADS comprises the ground-based air surveillance radars which detect and track potentially hostile aircraft approaching, or violating, national airspace; the fighters and Surface-to-Air Missiles (SAMs) used to intercept hostile aircraft and possibly Airborne Early Warning (AEW) aircraft. AEW aircraft can extend the combined surveillance area achievable with the IADS integral radar thanks to their ability to provide extended radar detection ranges at altitude (radar range being limited by the curvature of the Earth). These assets are in turn ‘knitted together’ using land fibre optic communications (which are difficult to jam as they do not emit Radio Frequency/RF radiation), and Very High Frequency (30-300 Megahertz/MHz) and Ultra High Frequency (300MHz to three Gigahertz/GHz) radio communications which are encrypted to reduce their susceptibility to jamming and eavesdropping. These UHF/VHF links can handle voice traffic and carry datalinks to enable the sharing of the Recognised Air Picture (RAP). The RAP is a federated picture of a nation’s airspace and approaches to that airspace, or sections of the airspace therein, depicting hostile and friendly aircraft. The RAP can be composed and viewed at Sector Operations Centres (SOCs) where air defence personnel have responsibility for controlling a section of a nations’ airspace. Several SOCs located throughout a particular nation will send their RAP to one overall Command Centre where the national RAP is formed and viewed. 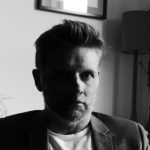 To an extent, every IADS is different as it is tailored to the requirements of the nation it serves, but broadly speaking, all tend to share these characteristics in some shape or form. Throughout the Asia-Pacific, countries are investing in their IADS. Unsurprisingly in East Asia, and South East Asia, this is being prompted by the People’s Republic of China’s (PRC’s) increasingly muscular strategic posture. For example, in January, the Civil Aviation Administration of Vietnam (CAAV) wrote to its Chinese counterpart, asking the country to cease what the CAAV argues are violations by Chinese aircraft of parts of the Spratly Islands archipelago in the South China Sea, which Hanoi considers as under Vietnamese sovereignty. The sovereignty of the Spratly Islands is disputed by Brunei-Darussalam, Malaysia, the Philippines, the PRC, Taiwan and Vietnam. The CAAV letter did not specify whether these violations had been performed by Chinese military or civil aircraft, or when they occurred. Recent years have witnessed Vietnam upgrading its IADS with new radars in the form of two Israel Aerospace Industries (IAI) ELTA Systems division EL/M-2288 AD-STAR S-band (2.3-2.5/2.7-3.7GHz) 232.1-nautical mile/nm (430-kilometre/km) range air surveillance radars for $33 million, with deliveries completed in 2013. Interestingly, Vietnam has also purchased four ERA Vera-E 50-MHz-18GHz passive radars (two of which are thought to have been delivered) which detect an aircraft’s RF emissions (from their radios, radar emissions, for example) and thus locate the aircraft through a process of triangulation. The Vera-E may have also been acquired by Malaysia (see below). Fortunately, more information is available regarding Malaysia. 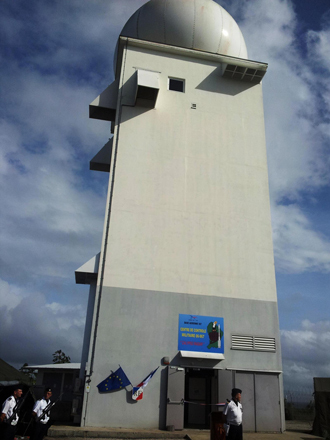 In April 2008, that country’s Ministry of Defence awarded the Franco-American joint venture ThalesRaytheonSystems (TRS) a contract of an undisclosed value for the Tentera Udara Diraja Malaysia (TUDM/Royal Malaysian Air Force) new Malaysian Air Defence Ground Environment Sector Operations Centre-III (MADGE SOC-III) IADS system which uses the firm’s Sentry C2 (Command and Control) software. 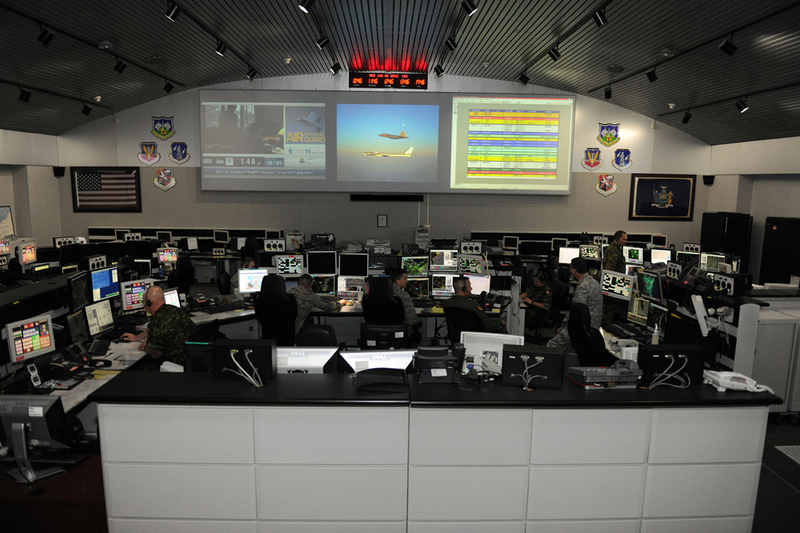 The Sentry software itself is based on that used for the Battle Control System (BCS) C2 architecture forming the core of the US-Canadian North American Aerospace Defence Command (better known as NORAD) IADS system. As well as forging together the TUDM’s Sukhoi Su-30MKM, Boeing/McDonnell Douglas F/A-18C/D and MiG-29N/UB air superiority fighters, the MADGE SOC-III forms a RAP using the Thales GroundMaster-406 S-band 253.7nm (470km) range air surveillance radar. It is thought that Malaysia only acquired a single GroundMaster-406 radar as part of the MADGE SOC-III initiative in 2013. The TUDM has not publicly revealed which radars it operates to support the MADGE SOC-III network. However, confidential sources inform AMR that the TUDM employs two Selex/Finmeccanica RAT-31S/L S-band 250nm (134km) range air surveillance radars, acquired between 1996 and 1998, with a single RAT-31DL L-band (1.215-1.4GHz) 269nm (500km) range variant acquired in 2003 for $54 million. From the United Kingdom, between 1992 and 1995, the TUDM also obtained two BAE Systems S-743D Martello L-band 269nm range ground-based air surveillance radars, and a single 240nm (444km) range S-band Hughes/Raytheon HADR (Hughes Air Defence Radar) which was acquired in 1986. The vintage of the RAT-31S/L, S-743D and HADR radars illustrates that much of the radar network supporting the MADGE SOC-III is reaching the end of its life. To this end, the Malaysian Ministry of Defence has come under sustained domestic political pressure to upgrade the TUDM’s radar network following the disappearance of Malaysian Airlines flight MH370, a Boeing 777-200ER airliner which was lost on 8 March 2014, and remains at large. TRS is also providing technology to Malaysia’s neighbour Indonesia. The country’s Tentara Nasional Indonesia-Angkatan Udara (TNI-AU/Indonesian Air Force) has been performing an overarching modernisation of its ground-based air defences. This has included the acquisition of four Thales Master-T S-band 240nm-range air surveillance radars between 2006 and 2012. 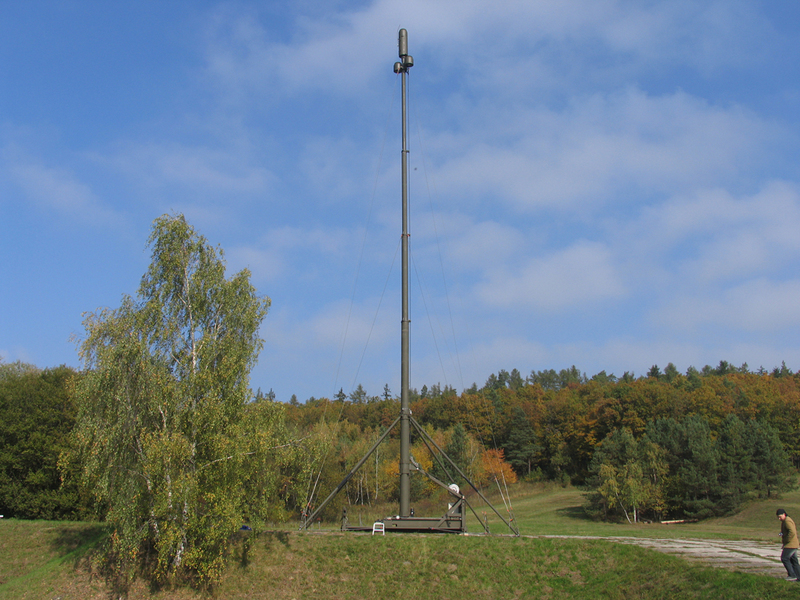 In addition, the company has provided three accompanying C2 centres for these radars. These centres send their RAP to the TNI-AU air sovereignty command and control centre in Jakarta where the national RAP is generated. The Indonesian IADS is also thought to use two Plessey/BAE Systems’ AR-327 Commander 253.7nm (470km) S-band radar. 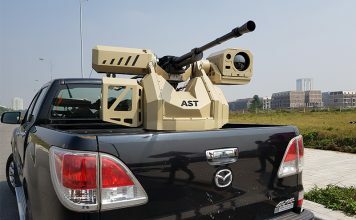 While TRS has enjoyed success in Indonesia and Malaysia regarding the provision of IADSs, Saab has provided its Air Command and Control System (ACCS: not to be confused with the TRS product using the same acronym) to the Royal Thai Air Force (RTAF). 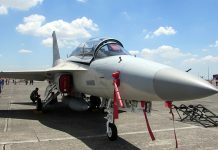 The RTAF ordered the ACCS in 2008 as part of its larger purchase of an initial six Saab JAS-39C/D Gripen fighters and a single Saab 340 Erieye AEW platform. Few details have emerged regarding the exact composition of the ACCS, although it is thought to use the company’s proprietary Tactical Data Link (TDL) possibly similar in scope and capability to the North Atlantic Treaty Organisation’s (NATO) Link-16 TDL protocol. Using UHF Link-16 handles so-called ‘J’ series fixed-format messages which are allocated to cover particular communications categories such as weapons management, electronic warfare and C2. In addition, it can handle free text communications and imagery. Enhancing the ACCS is the RTAFs overarching RTADS (Royal Thai Air Defence System). This was rolled out in three phases; all of which were completed in 2000, to provide coverage using Northrop Grumman AN/FPS-130X (three examples) L-band 250nm range radars, Lockheed Martin AN/FPS-117 (two examples) L-band 250nm range systems, two S-743D Martello radars and a single Northrop Grumman AN/TPS-43 S-band 242.9nm (450km) air surveillance radar. Air-to-ground/ground-to-air radio communications are performed using the HAVE QUICK UHF radio protocol and NATO-standard TADIL-A/Link-11 High Frequency (three to 30MHz) and VHF datalinks. 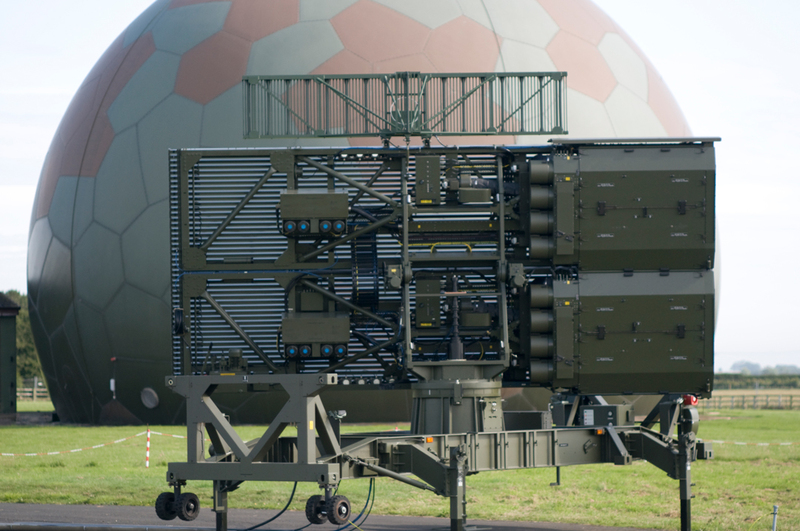 It is unclear how the Saab ACCS architecture, itself based upon Saab’s StriC Air C2 system used by the Flygvapnet (Royal Swedish Air Force), operates with the RTADS network. However, open source reports state that the ACCS is used for managing combat operations involving the JAS-39C/D and Saab 340 Erieye AEW fleet, and thus presumably links into the wider RTADS network. Like its counterparts elsewhere in the Asia-Pacific, the Royal Australian Air Force (RAAF) has enhanced its IADS recently with the advent of its Vigilare network which achieved Final Operational Capability in March 2013. Vigilare, developed by Boeing’s Australian defence subsidiary, federates information from a number of sources including the RAAF’s Jindalee Operational Radar Network (JORN) which provides long range radar surveillance (ranges up to 1619nm /3000km) using HF radio transmissions which ‘bounce’ of the ionosphere; a level of the atmosphere at between 40.4nm to 539.9nm (75-1000km) altitude to provide the radar with an over-the-horizon range. The RAP produced by the JORN is federated with radar imagery provided by the RAAF’s fleet of six Boeing E-7A Wedgetail AEW aircraft, its Boeing P-8A Poseidon Maritime Patrol Aircraft (MPA) currently undergoing delivery and its legacy Lockheed Martin AP-3C Orion MPAs, alongside civilian and military air surveillance radars, naval air surveillance radars and the radars used by its McDonnell Douglas/Boeing F/A-18A/B/E/F Hornet/Super Hornet fighters to provide as full a RAP as possible. The RAAF’s Northern Region Operations Centre at the RAAF’s Tindal airbase in the Northern Territory and the Eastern Region Operations Centre at Williamtown airbase in New South Wales both perform the overarching air surveillance and battle management of Australia’s skies. Ultimately, the fusion of such a significant quantity of radar sources, which could in the future be enhanced with radar imagery provided by the Northrop Grumman MQ-4C Triton unmanned aerial vehicle, of which the RAAF is procuring up to seven for maritime patrol, will enhance the surveillance provided via the Vigilare system to sustain a RAP stretching from the Indian Ocean to the western Pacific. Unsurprisingly, given the RAAF’s close relationship with the United States Air Force and the air forces of NATO, Vigilare uses the Link-11 and Link-16 protocols for air-to-ground/ground-to-air communications, and may also use HAVE QUICK, although this does not seem to have been reported. Vigilare replaces the legacy WARDEN Air C2 system which had been developed and implemented by Raytheon’s Solipsys subisiary using the firm’s Multi-Source Correlator Tracker which gathered together radar information, with the RAP developed using the company’s Solipsys Tactical Display Framework. While much of East and South East Asia has its attention focused on the potential threat posed by the PRC’s People’s Liberation Army Air Force (PLAFF), India remains highly mindful of its rivalry with Pakistan and the potential for this to develop into full-blown war. With one of the largest segments of airspace in the Asia-Pacific region, the Indian Air Force relies upon the Integrated Air Command and Control System (IACCS) to safeguard the country’s skies. The IACCS is currently undergoing a major enhancement led by Bharat Electronics Limited (BEL) with a $1.3 billion contract awarded to the company in early October 2015 and is expected to take up to four years to complete. The initiative will network all civilian and military radars across the country into the IACCS thus deepening the detail of the existing RAP produced by the IADS. At the same time, this will expand the IACCS network into eastern, central and southern India, and in the Andaman and Nicobar Islands in the Indian Ocean to the southeast of the subcontinent. The expansion of the IACCS will also include the establishment of radar posts near India’s border with the PRC, no doubt as a response to concerns regarding potential PLAAF air activity near the Indo-Chinese border. Fears regarding the violation of Indian airspace by the PLAAF are very real. In 2014, the lower house of the Indian parliament, the Lok Sabha, was told by the country’s defence minister, Manohar Parrikar, that India’s airspace had been violated 16 times by aircraft from the PRC and Pakistan between 2012 and 2014. 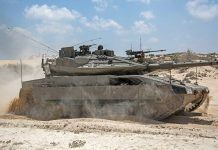 No timeline has been mentioned by the IAF as to when the installation of the new radars could take place, how many will be installed in proximity to the border or the type of radar to be used therein. The first phase of the work to enhance the IAF will include the expansion of the IACCS into eastern, central and southern parts of the country. BEL sources told AMR that existing radars located in these areas, along with any new radars to be procured, are expected to be incorporated into the expanded network. In terms of air surveillance radars, India is known to operate circa 30 Thomson-CSF/Thales TRS-2215/2230 335nm (620km) S-band radars acquired between 1984 and 2000. 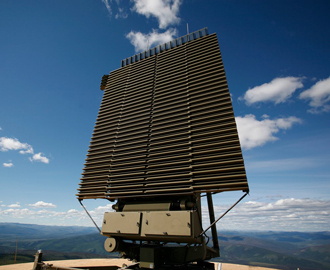 However, the bulk of the IAF’s air surveillance radar fleet includes products provided by IAI, namely the EL/M-2085 S-band 134.9nm (250km) range radar (23 examples delivered between 2011 and 2015), two EL/M-2080 Green Pine radars L-band radars with a 269.9nm (500km) range for ballistic missile defence and aerostat-mounted EL/M-2083 AEW radar (up to five systems are believed to have been acquired). One which is expected to perform a wholesale modernisation of its IADS is the Philippines. In early February it was reported that the Philippines was considering obtaining technology from the United States to be positioned on Thitu island, one of the constituent parts of the Spratly Islands, under the control of the Philippines, but also claimed by the PRC, Vietnam and Taiwan. The equipment that the Civil Aviation Authority of the Philippines (CAAP) announced that it wishes to obtain will detect satellite transmissions ‘squawked’ (transmitted) from the ADS-B transponders carried by commercial aircraft. This equipment is to be positioned on the island and would be capable of receiving the transmissions from an aircraft’s ADS-B transponder, thus enhancing coverage of this section of its airspace. ADS-B forms the core of the US Next Generational Air Transportation System which in turn overhauls air traffic control in the United States by providing a transponder which squawks an aircraft’s speed and location information via satellite. ADS-B transponders are expected to proliferate widely across commercial aircraft over the next decade potentially providing a relatively inexpensive way of tracking aircraft as opposed to ensuring that all sections of a nation’s airspace are covered by radar; a particularly expensive undertaking. In tandem with the initiative to roll out an ADS-B sensor system to provide coverage over Thitu Island, the Philippines Ministry of Defence plans to extend the coverage of its PADIZ (Philippines Air Identification Zone) in a series of phases to ensure that 74 percent of the Philippines’ airspace is covered by the PADIZ by 2022. This will then be extended with the intention of covering the entirety of Philippines airspace by 2028. Such a plan could necessitate the purchase of new C2 software, hardware and communications to enhance the national RAP. In recent years, the Hukbong Himpapawid ng Pilipinas has worked to enhance its ground-based air surveillance radars with the acquisition of three IAI EL/M-2288 AD-STAR radars for $56 million which are due to be delivered in 2017. 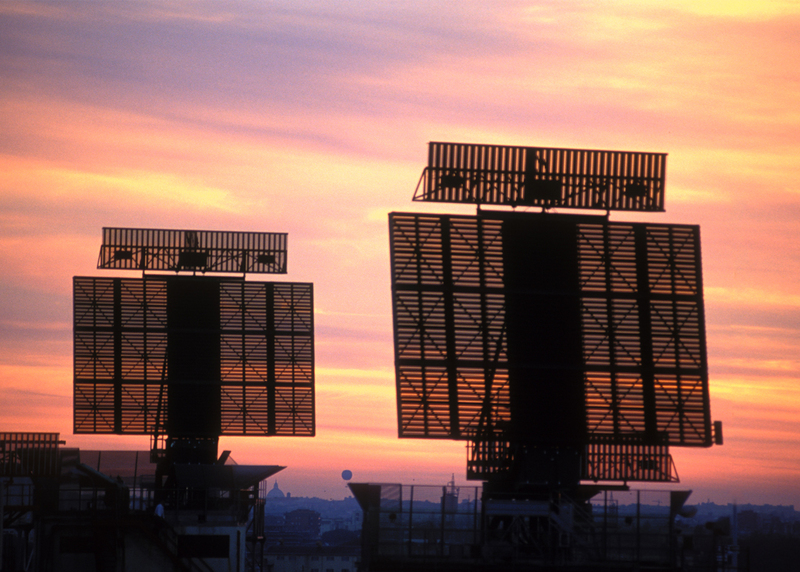 Until these radars are delivered, the country may still rely on the three AN/TPS-1 radars it acquired in 1960. 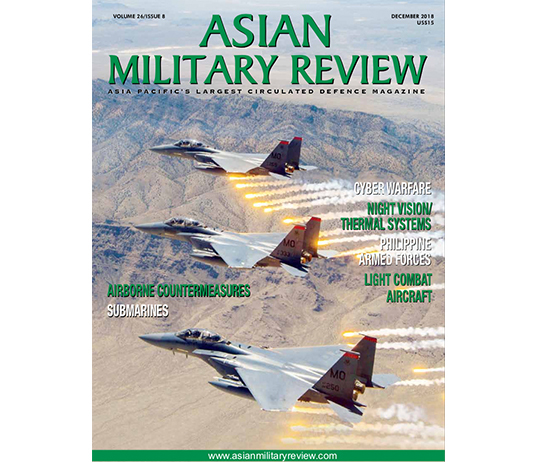 The modification of the Philippines’ IADS represents a potential opportunity for Air C2 systems suppliers, but there will almost certainly be other opportunities around the Asia-Pacific in the coming years. 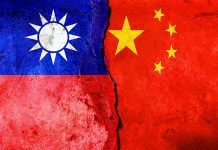 The continuing assertive strategic posture of the PRC is likely to prompt nations to ensure that their hostile aircraft detection and reporting services are as capable as possible. Furthermore, the need to update legacy systems, as illustrated by the Philippines (see above), will encourage further spending. Coupled to these factors is the question as to whether nations in the region will be willing to network their individual IADS to provide a ‘Super-RAP’ of their local region. This philosophy is being currently pursued by NATO vis-à-vis its Air Command and Control System (ACCS) which is being rolled out across the majority of its Western European membership. This provides a common software and hardware architecture for the membership’s national IADS, replacing a bewilderingly-diverse array of existing IADS, and will generate a ‘Super RAP’ of the entirety of NATO’s European area over the next decade; a particularly important consideration given the regular sorties by Russian air force strategic bombers occurring close to NATO airspace in the Baltic, Northern European and Scandinavian regions.